“I don’t need a weekend away,” said no one, ever! If you’re in desperate need of a timeout, even if it’s just for a few days, keep reading. There’s so much goodness sprouting up on the Gold Coast right now, from hip cafe haunts with seriously smooth coffee to atmospheric restaurants with top-notch food, and The Star’s (formerly Jupiters) stellar makeover is just the beginning of the story. Want in on a slice of the action? Of course you do! 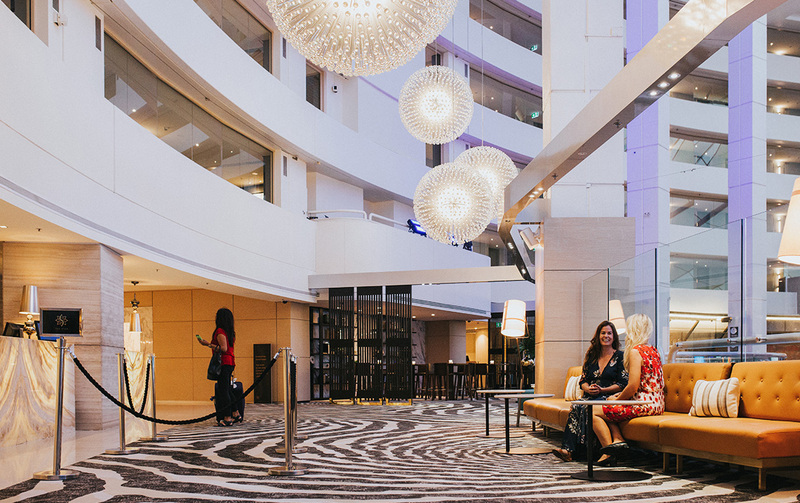 We’re giving away a weekend at the new-look The Star Gold Coast, including one night in an Executive Deluxe room, buffet breakfast, and swanky $200 dinner at Cucino Vivo. Whatever else you do with your time (think: cocktails by the pool, beach hangs, designer shopping, bar-hopping) is totally up to you! Click below for your chance to win. Our number one priority on a short weekend away? Dining out, of course! Yours too? Fortunately, The Star Gold Coast is well stacked in the foodie department, so come prepared with stretchy pants to eat your weight in dumplings and stuffed buns at Mei Wei Dumplings. Or, secure an early sitting on the terrace at Italian-inspired Cucino Vino to watch the sunset over wood-fired pizzas, antipasti platters, pasta, charcoal-grilled eye fillet steaks, and slow-cooked porchetta. Consider yourself a sushi snob? Kiyomi, The Star’s signature Japanese restaurant, will silence even the harshest of critics with intricate sashimi platters, seared scampi, creative rolls, and Toothfish or Wagyu +7 tenderloin off the Binchotan, plus one of Australia’s top 100 bartenders mixing stiff Japanese whiskey cocktails behind the bar. Hungry yet? With a name like Garden Kitchen & Bar, it’s pretty clear this place was meant for day drinking—and it is! Come sunny weekends, this expansive indoor-outdoor hotspot is undoubtedly a local favourite, where chilled peeps sprawl out across picnic tables and beanbags, toasting life with Frosé, espresso martinis, and frosty brews. Clear your calendar and book a seat at Champagne Saturdays, where $99 buys you a delish two-course lunch and, get this, endless top-ups of Moet & Chandon (daaaangerous!). BBQ reigns supreme on Sundays, when the traditional smoker is fired up, slinging out southern-style real wood-smoked ribs, brisket, and burgers. Or frock up on Friday and Saturday evenings and make a night of it! Already had a flutter at the casino and your toes are prune-like from a morning-long soak in The Star’s sprawling hotel pool? Well then, you should probably venture out past the Vegas-like palm trees for a few hours. Give your credit card a workout at Pacific Fair, Queensland’s primo shopping destination, with the likes of Ginger & Smart, Aje., Alice McCall, Zimmerman, and Gorman (or Uniqlo and H&M, if you lost all of your spending money at the Black Jack table). Prefer the salty fresh air and sand between your toes? Sounds like a lazy long stroll along the squeaky-soft sand of Broadbeach is in order to complete your mini stayacay. Why just stay anywhere, when you can check into a plush executive suite (after expansive renos, The Star is practically a brand new hotel! ), and shimmy between multiple restaurants and one of the best day-drinking spots on the Gold Coast (AKA Garden Kitchen & Bar) without having to walk out the front door? 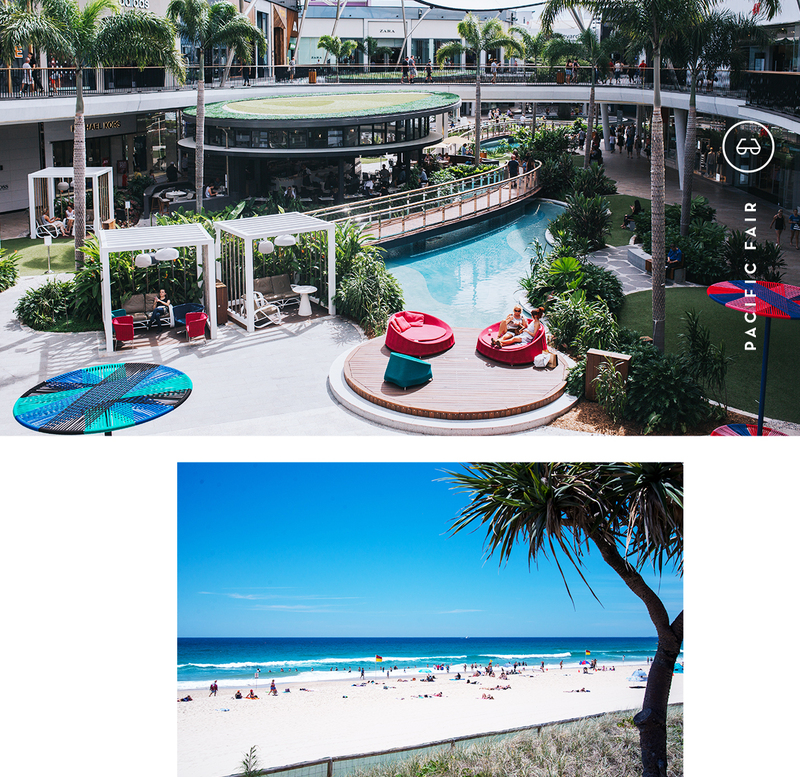 Though of course you’re gonna want to explore so, it’s bloody handy to know there’s a bevvie of things to do literally strolling distance away, in buzzing Broadbeach. Does this sound like your idea of a good time? We’re giving one lucky reader the chance to taste the action of a new-look The Star with a super chill weekend escape on the Gold Coast. Enter your deets below to be in with a chance—good luck! Want to win a luxe staycay on the Gold Coast including one night in a plush Executive Deluxe room, buffet breakfast, and dinner at Cucino Vivo, to the value of $900? Of course you do! Fill out the form and make it yours, thanks to The Star Gold Coast.